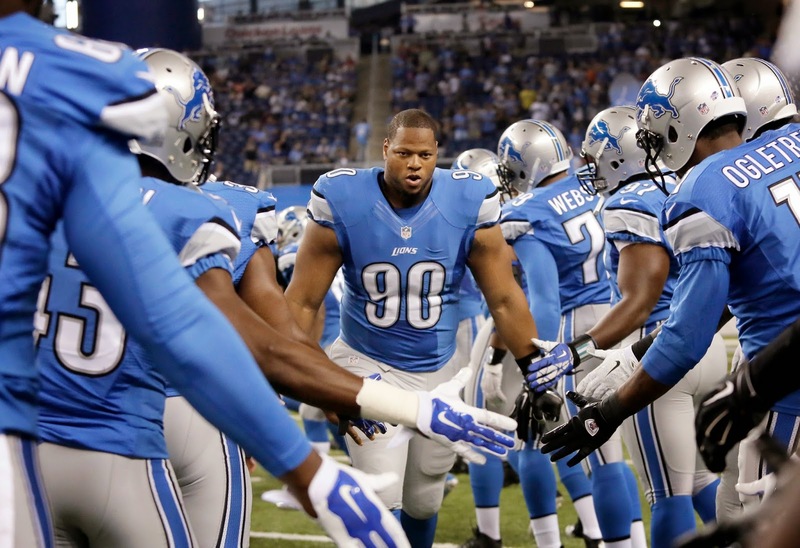 - Unbelievably bad penalty taken by Ndamukong Suh in the second quarter. Right there is the type of thing that holds him back from the genuine greatness he is capable of achieving as an NFL player. So he lit up Jags' QB Chad Henne? What was the point? - For an undrafted player, who has bounced around the league a little bit, Lions' defensive end candidate George Johnson does show considable promise. His sack tonight wasn't that unexpected. He does show a lot of explosion off the edge, especially for a player who didn't even come close to double digits sacks during any of his seasons at Rutgers. - Way too many penalties tonight for the Lions. Not a good sign. - Beautiful catch and run by Eric Ebron on the first play of the second quarter. His potential is unlimited, and he should show brilliance sooner instead of later. - Boy, you can really see live just how much mustard Jacksonville rookie QB Blake Bortles has on his fastball. A rocket. He does seem to have some accuracy issues, though. - Darius Slay is playing very well tonight. Heads up play at the end of the quarter when Bortles faked clocking the ball. It looked like Stafford and CJ needed some plays to get on the same page. After a shaky start Stafford settled in as that efficient QB we've been seeing in preseason but he almost seems a mixture of where he was last year and where coaches want him to be. Thoughts?